The feminine divinity in Hinduism, Shakti, is considered to be the greatest creative force in the universe. Indians and Hindus across the world celebrate the power of Shakti through a number of festivals. Navratri, Durga Puja, Kali Puja are all such festivals. As the nation celebrates Navratri and Durga Puja this year, we take a look at the most famous Shakti peeths or pilgrim spots in the Indian subcontinent. If you’re in the mood for some Devi darshan, or plan to go on a pilgrimage, these are the places you must visit. In Hindu mythology, the son of Brahma, King Prajapati Daksha had a daughter named Sati. Princess Sati grew up adoring the legends and tales of Shiva, and when finally her age of getting married came, she knew it was only the ascetic Lord Shiva of Kailash where her heart and soul resided. Soon enough, Daksha’s daughter left her father’s luxuries and palace and began her meditation to win Shiva’s heart.She performed intense penance in dense forests and renounced food completely. When she finally pleased Shiva through her austerities, the lord of Kailash appeared in front of her and agreed to marry her. The legend goes that Sati and Shiva were happy in their marital bliss, but their marriage had not gone down too well with King Daksha, who considered ascetic Shiva nothing short of an uncouth lad who lives a hermit’s life not worthy of his daughter. So when Daksha organized a great yajna, he invited all the deities, gods and sages–but consciously excluded his son-in-law Shiva to insult him. Hurt by her father’s decision, Sati decided to visit her father and demand the reason for not inviting them. When she entered Daksha’s palace, she was bombarded with insults directed towards the Shiva. Haughty and proud King Prajapati Daksha called him all sorts of names right from a dishevelled god who hung out in graveyard to the supposed ‘lord of the beasts’. Unable to bear anything against her husband, a devastated Goddess Sati threw herself in the glowing scared fire of yajna. When Shiva’s attendants informed him about the demise of his wife, he grew enraged and created Veerbhadra from a lock of his hair. Veerbhadra created havoc in Daksha’s palace and killed him. Meanwhile, mourning his beloved soulmate’s death, Shiva tenderly held Sati’s body and started his dance of destruction (taandav). To save the universe and bring back Shiva’s sanity, Lord Vishnu cut Sati’s lifeless body using Sudharshan Chakra into 51 pieces. These pieces fell on earth at various places and came to be known as Shakti Peeths. All these 51 places are considered to be holy lands and pilgrimages. 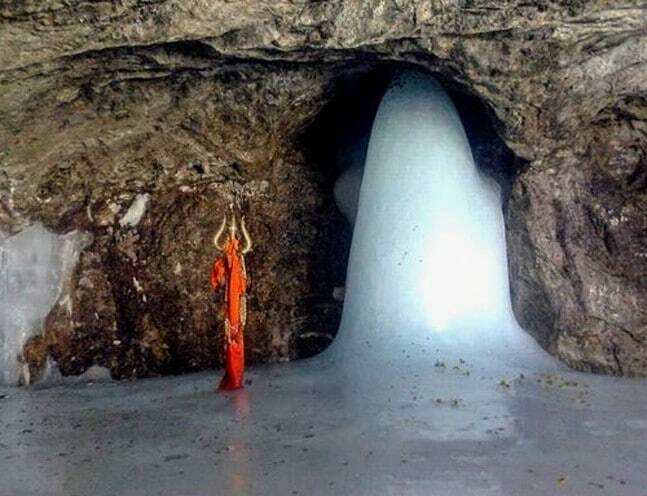 One of the most famous temples of India, the Amarnath Shakti Peeth is located in India’s Jammu & Kashmir. Situated near Pahalgam in Anantnag district, this temple opens for pilgrimages during July/August when the Shivling is available for darshan. The throat of Goddess Sati is said to have fallen here. The devi resides here in the form of Shakti Mahamaya with Trisandhyeshwar as Vairabh. This Peeth is located in Attahasa Village of Labhpur in Birbhum district of West Bengal. The goddess appears as Shakti Phullara and her lower lip is said to have fallen here. It is compulsory to offer sour eatables whenever bhog is offered to the Shakti. Located on the banks of Ajay River, this holy land is situated in Ketugram, roughly eight kms from Katwa of Bardhaman district in West Bengal. The goddess resides here in the form of Devi Bahula and is accompanied by Bhiruk as the Bhairava. The left hand of Sati fell on this land. This Peeth is located on the banks of Paaphara River, approximately 24 kms south west of Siuri town. The centre portion of Goddess Sati had fallen here and she is worshipped in the form of Shakti Mahishmardini The temple is renowned for its eight natural hot springs which are enriched with healing powers. Maa Sati resides here in the form of Goddess Avanti. 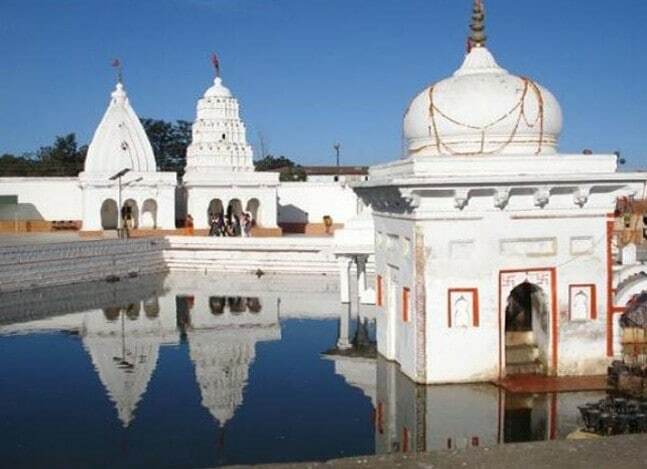 This peeth is located near Ujjain in Madhya Pradesh at the Bhairav hills on the banks of Shipra River. In this temple, goddess’s upper lip had fallen. Goddess Sati appears as Devi Aparna with Vaman as Lord Shiva in the Bhavani Pur peeth, located in the Sherpur Village of Bangladesh. Here, the left anklet (ornament) of Sati had fallen. Near the bank of Gandaki river, lays the Muktinath, Dawalagiri Peeth in Nepal. Maa Sati resides here in the Gandaki Chandi form with Chakrapani as the Bhairav. Here, her forehead had fallen and hence, the importance of this holy land can also be found in Vishu Purana which is an ancient text of Hinduism. In the Godavari river valley in the Nasik city fell both parts of the chin of Goddess Sati. 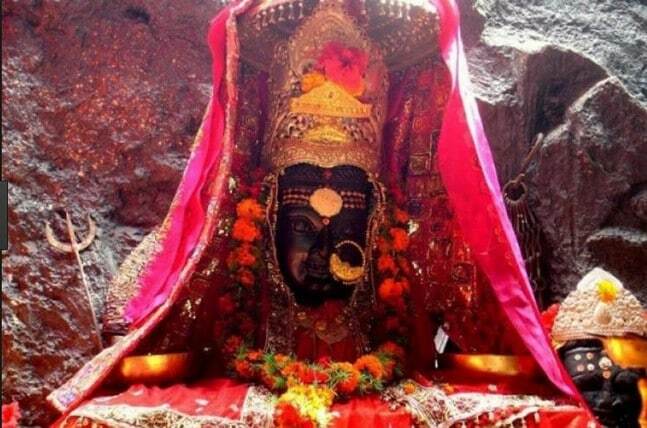 Devi is known as Shakti Bhramari or Chibuka (meaning Chin) here. Sati’s Bhrahmarandhra (top of the head) fell in Hinglaj, around 125 kms away from north-east of Karachi. The goddess here is in the form of Shakti Kottari. Locally known as Nartiang Durga Temple, the Jayanti Shakti Peeth is where the left thigh of Sati fell. Located in Kalajore, Bourbhag village in Bangladesh, Devi resides here in the form of Jayanti Shakti. Dedicated to Maa Kali, this Shakti Peeth is located in Iswaripur village, in the Khulna District in Bangladesh. The goddess resides here in the form of Devi Jashoreshwari and Lord Shiva appears as Chanda. Situated 30 km south to the Kangra Valley in Himachal Pradesh is the Jwala Shakti Peeth. Discovered by the Pandavas, here the Goddess Sati resides in form of Devi Ambika or Siddhida. Tongue of Sati is said to have fallen here. She sits in the form of a flame, which miraculously keep burning, even under the layer of rocks. This Hindu temple is in Kolkata, West Bengal. Kalighat is the site where Maa Sati’s toes of the right foot had fallen. The goddess resides here as Shakti Kalika. Left buttock of Goddess Sati fell in Kalmadhav, Amarkantak in Shahdol district of Madhya Pradesh. Devi appears in the form of Shakti Kali. One of the fieriest incarnations of Goddess Sati is Maa Kamakhya. Situated in the hills of Neelgiri in Guwahati, Assam, it is one of the most famous Shakti Peeths. The Yoni (genital organ) of Sati had fallen here. During June/July the goddess’s menstrual course takes place for three days. The doors of the temples are closed during this period, and Angabastra is used to cover the Yoni-stone of the Devi. Located on the bank of Kopai River, in the Birbhum District of West Bengal, this temple is locally known as Kankaleshwari. The Goddess is worshipped here as Devgarbha or Kankaleshwari. This famous temple is located in Kanyakumari, Tamil Nadu. 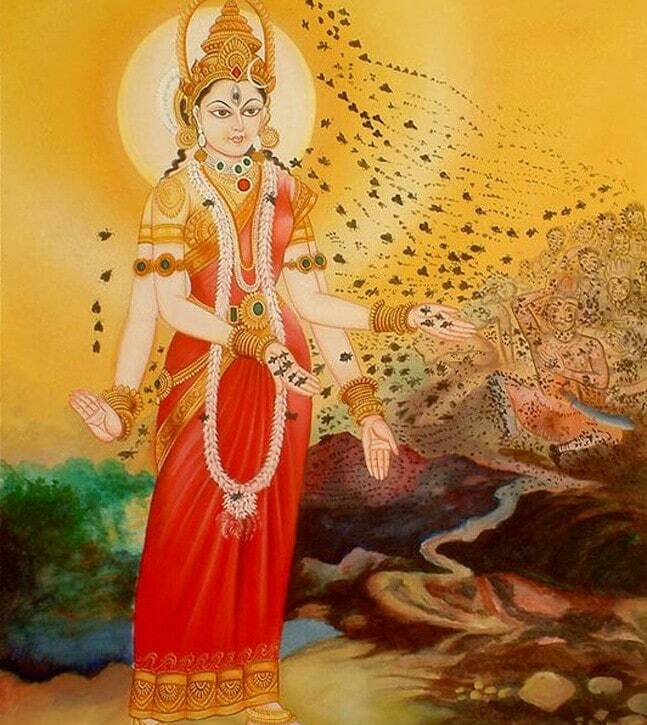 Devi is in the form of Shakti Sravani. 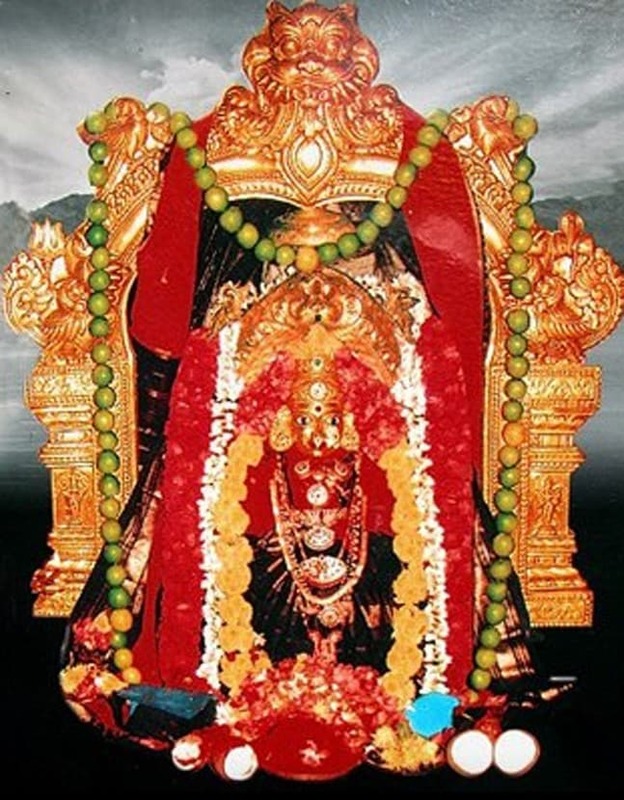 In the Chamundi Hills of Mysuru is the Shakti Peeth where both the ears of Sati had fallen. The devi resides here and is worshipped in the form of goddess Jaya Durga. Crown of Sati had fallen in Kireet, near Lalbagh court road of Murishabad district in West Bengal. Maa is worshipped here as Goddess Vimla. Locally known as the Anandamayee Temple, Kumari Shakti Peeth is situated on the bank of Ratnakar River in Khanakul, West Bengal. Here, right shoulder of goddess Sati had fallen. She is worshipped in the form of Shakti Kumari. This Shakti Peeth is on the bank of Teesta River in Jalpaiguri of West Bengal, and is locally known as Bhramari Devi Temple. Sati’s left leg had fallen here and she resides in the form of Shakti Bhraamari. This Shakti Peeth is located near the foot of Kailash Mountain in Mansarovar, Tibet, China. It is in the form of a stone slab. The devi is in the form of Shakti Dakshayani. Here, Sati’s right hand had fallen. Situated near Pushkar at the Gayatri Hills in Ajmer, Rajasthan, this Shakti Peeth is where two manivediakas or wrists of Sati had fallen. The Goddess is worshipped here as Gayatri. Near the Janakpur Railway Station on the border of India and Nepal lies Mithila, where the left shoulder of Sati had fallen. Here, Sati is in the form of Shakti Uma. This Shakti Peeth is in Nainativu, Manipallavam, 26 kms from the ancient capital Jaffna, Nallur in Sri Lanka. The idol of the goddess is believed to made by Lord Indra and was worshipped by both Lord Rama and King Ravan. The anklet of Maa Sati is said to have fallen here. Situated near to the Pashupati Nath Temple in Kathmandu, Nepal, this temple is where both the knees of Maa Sati had fallen. She is worshipped here as the Devi Mahashira. King Pratap Malla built this temple in the 17th century. Situated on the top of Chandranath hills near Sitakunda station, this Peeth is in Chittagong, Bangladesh. Goddess is worshipped as Devi Bhawani here. Sati’s right arm had fallen here. 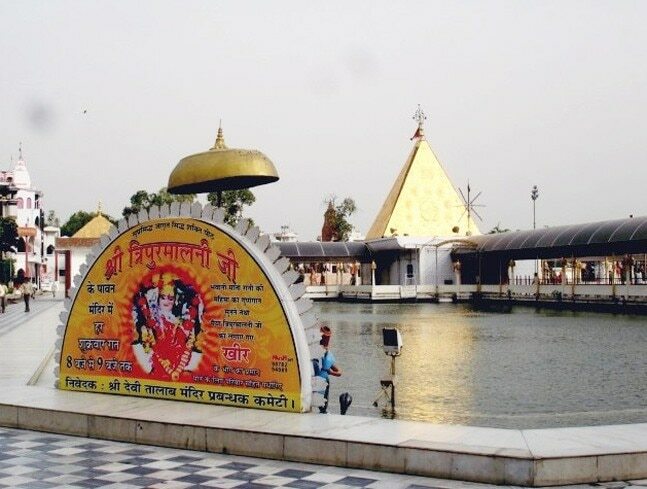 Located near Varanasi in Uttar Pradesh, this Shakti Peeth is dedicated to “Maa Varahi”. Devi Sati’s lower teeth fell here. It is believed that the stomach of goddess Sati fell in Prabhas-Khetra, near Somnath Temple in Guajarat’s Junagarh district. Here, the devi is in the form of Chandrabhaga. Fingers of both the hands of Goddess Sati fell in this Shakti Peeth. Goddess is worshipped here in the form of Lalita. There are three temples, namely, Akshaywat, Mirapur and Alopi. Maa Sati appeared as Savitri, also known as Bhadra Kali in Thanesar, Kurukshetra, Haryana. The ankle bone of Sati had fallen here. Maihar is an amalgam of two words; Mai meaning mother and Har meaning necklace. According to the Hindu Mythology, Sati’s necklace fell down in this city situated in Satna district of Madhya Pradesh, and hence people started calling it “Maihar”. The temple is situated at the Trikoota hill. Devi is worshipped here. Located in Sainithia town in Birbhum district of West Bengal, this temple is where the necklace of Maa Sati had fallen. This Shakti Peeth is only 1.5 kms from the railway station. Devi is worshipped here Nandini. This Shakti Peeth is located at Kotilingeswar temple on the banks of Godavari River. Sarvashail is a famous Shakti Peeth where the cheeks of Goddess Sati fell. Maa Sati is worshipped here as Rakini. This Shakti Peeth is situated near the Parkai Railway Station, near Karachi in Pakistan. Goddess Sati’s eyes fell here and she is worshipped as Mahisha-Mardini. At the source point of Narmada River, at Shondesh in Amarkantak of Madhya Pradesh fell the right buttock of Goddess Sati. Here, the devi is in the form of Narmada. Located in Tripurantakam, Sri-Sailam in Andhra Pradesh, this Shakti Peeth is where the right anklet of Maa Sati fell. The goddess is worshipped here in the form of Sundari and Srisundari. The Shakti Peeth is located at Sri Shail at Jaunpur Village in Bangladesh. Devi Sati’s neck is believed to have fallen here. Here, the goddess appears in the form of Maha-Lakshmi. This temple is located at Suchindram, which is 11 kms on the Kanyakumari road of Tamil Nadu. Sati resides here as Devi Narayani. Situated on the banks of river Sonda, Shikarpur is 20 km away from the Barisal town in Bangladesh. Here, the devi is known as Maa Sunanda or Devi Tara. Situated in Radha Kishorepur Village, few kms away from the Udaipur town, Tripur Vairavi Shakti Peeth is where the right foot of Sati had fallen. The goddess is in the form of Devi Tripur Sundari. Located at Ujjani village in Guskara station of Burdwan district, West Bengal, this Shakti Peeth is where right wrist of Devi Sati had fallen. She is worshipped here as Devi Mangal Chandika. This temple is located in Manikarnika Ghat, in Varansi, Uttar Pradesh. It is where the earrings of Goddess Sati had fell. Devi is worshipped here as Vishalakshi and Manikarni. Located in Tamluk in Medinipur district of West Bengal, this Shakti Peeth is where the left ankle of goddess Sati had fallen. Goddess is worshipped as Kapalini. It is believed that the fingers of left feet of Goddess Sati fell in the Biraat Nagar, Bharatpur district of Rajasthan. Sati is worshipped here as Ambika Shakti. In the Bhooteswar Temple in Mathura district of Uttar Pradesh lays this Shakti Peeth. The goddess Sati’s ringlets of hair is said to have fallen here. 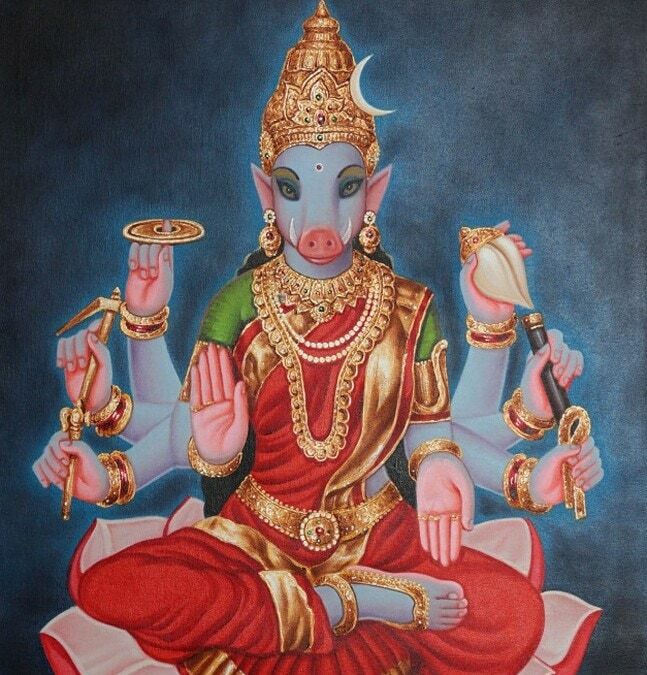 The goddess is worshipped as Devi Uma. This Shakti Peeth is located in Jalandhar, Punjab. Devi Sati’s left breast fell here. The goddess resides here as Tripurmalini. 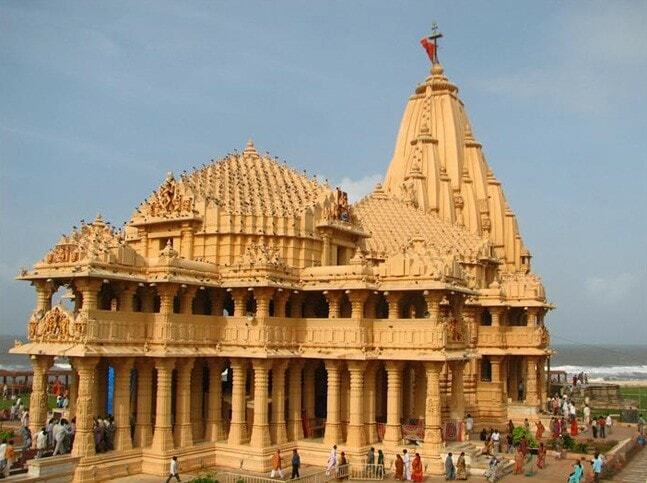 Guarded by the Aravalli Hills from all sides, this gorgeous temple is situated in Gujarat. The temple is located on the peak of Gabbar Hill. It is said that the heart of Sati Devi’s fell here. Aadi Shakti appears here as Goddess Amba. Situated in Deogarh in Jharkhand, Baidyanath Jayadurga Shakti Peeth is one of the most revered temples of India. It is the temple where Goddess Sati’s heart had fallen and she is worshipped as Jai Durga. 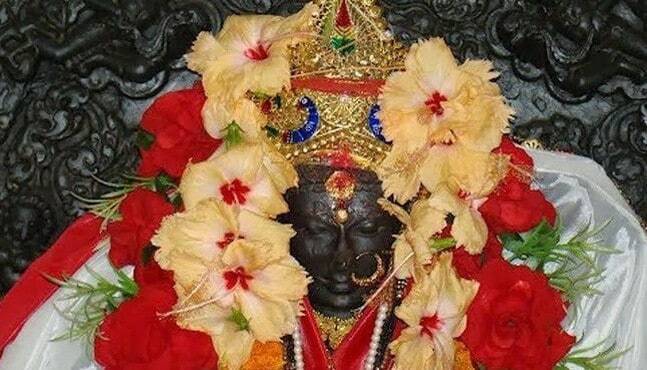 Located in Chhattisgarh, Danteshwari Temple is dedicated to Danteshwari Devi. It is believed that Goddess Sati’s tooth fell here when Lord Shiva was carrying her charred, lifeless body around the earth. This Shakti Peeth is located in Jajpur, near Bhubaneswar. This Peeth is also known as Nabi Gaya as the Nabhi (Navel) of Goddess Sati fell here. Sati is worshipped here as Devi Vimla.